With an overall rating of 4 out of 5 stars on Alltrails.com, Seven Bridges is a moderately difficult hike that offers scenic views, a chilly mountain river and plenty of shade. 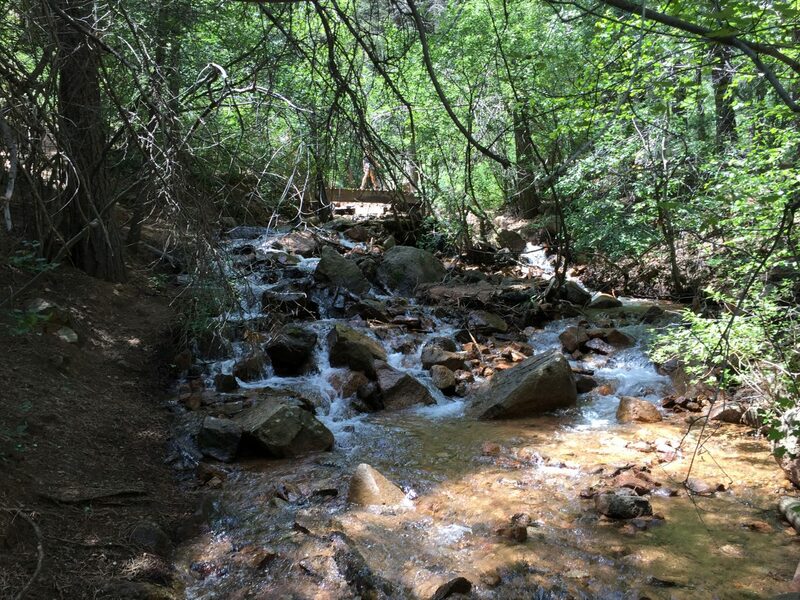 Even though it is rated as moderately difficult this hike is perfect for taking the family out on a summer adventure due to the refreshing temperature drop while walking along the creek. 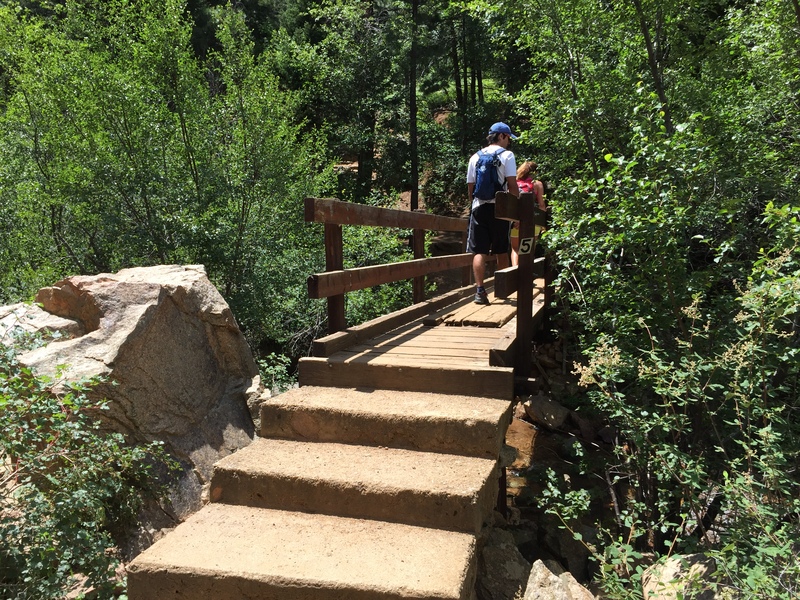 This is also a out-and-back trail, so if you do not think you can make the full 2 miles out to the seventh bridge you can always turn back early. 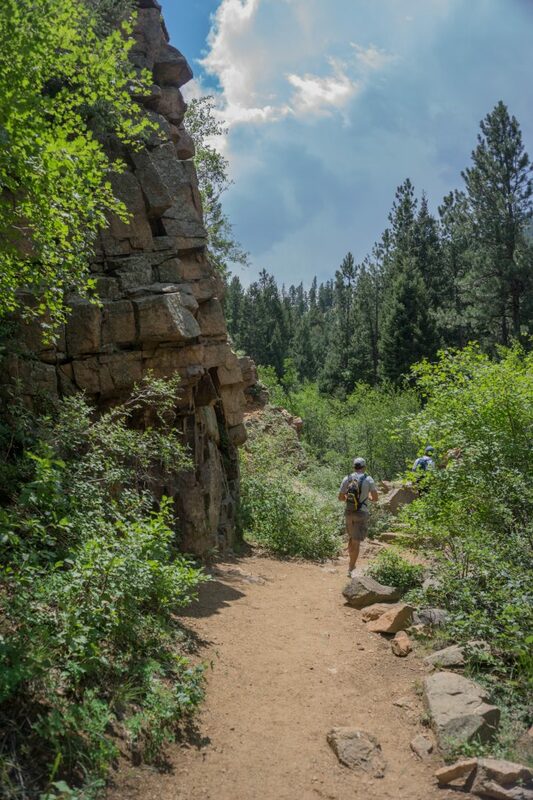 With the beginning of the trail being accessed by Gold Camp Road, an old gravel road that used to be a railway leading to Cripple Creek before tunnel #3 collapsed in 1988, you are immediately awarded with gorgeous views of Cheyenne Canyon and Helen Hunt Falls. Once on the trail, the forest canopy covers the majority of your hike with the creek running alongside you every step of the way. 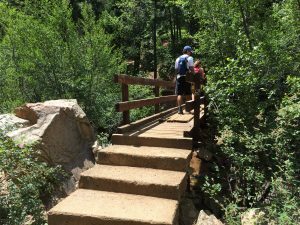 Another fairly easy yet massively rewarding hike located in Cheyenne Canyon, take the whole family (including Fido, provided he is leashed) out to explore the Seven Bridges of Cheyenne Canyon. 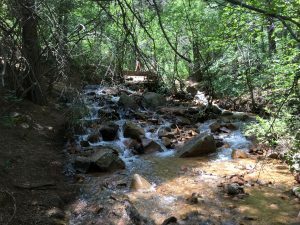 This entry was posted in Cheyenne Canyon, Community, Hikes, Parks 'N Barks and tagged Cheyenne Canyon, colorado, colorado springs, Outdoor, Recreation, Seven Bridges. Bookmark the permalink.